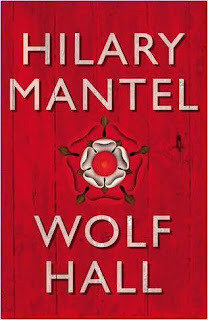 Winner of the Raucous Book of the month, Wolf Hall by Hilary Mantel is Katie Sue. Katie Sue I have sent you an email and just need your mailing address. This month’s featured book is Hubbub, Filth, Noise and Stench in England, 1600-1770(Review and give-away coming) The winner to the 12 days of Codpieces will be announced on Monday. 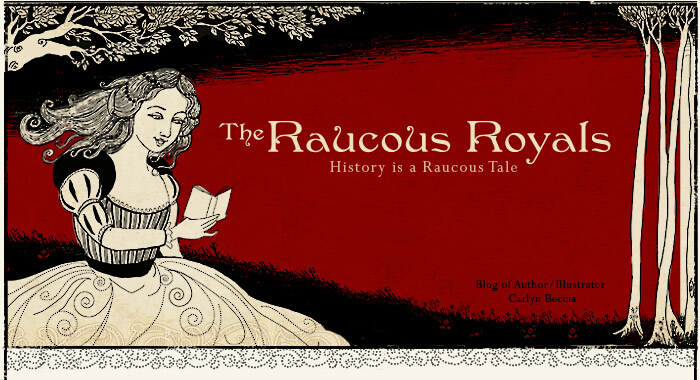 All newsletter subscribers are automatically entered to win The Raucous book of the month. 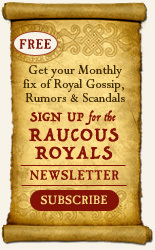 If you are not a newsletter subscriber, then you can subscribe here. I was so excited to start reading this book because I am obviously a huge Tudor fan, but have never got a sense of Cromwell, the man behind the mastermind. In most historical fiction, Thomas Cromwell’s meteoric rise from tradesman to the king's chief minister is seen only through the eyes of Henry’s wives. Finally, Crommie was going to get his say. I started reading Wolf Hall the minute I got home from the hospital with a new screaming baby. Well, after about 10 pages, I wanted to throw the book at my grumpy cat. Then I realized A. That would kill the cat (it’s a rather big tome) and B. I needed more than 2 hours of sleep to read Wolf Hall. So I put it aside and picked it up a month later when my sleep had increased to an astounding 4 hours a night. Hilary Mantel’s writing style is truly unique, but does take at least 50 pages to adjust to and at least a few working brain cells. The dialogue is not your typical “he said, she said” written from one point of perspective and Cromwell is always referred to as "he" instead of his name. The reader almost has to actively participate in the dialogue where you are holding the camera in each scene. It is kind of like watching a subtitled movie where you are forced to pay attention instead of writing your grocery list while watching it. Like any good historical novel, the descriptions are captivating, but it’s not just the historical details that will have reader’s smelling Wolsey’s oranges. Mantel’s writing style doesn’t just bring Cromwell to life. She makes her readers become Cromwell. Often Cromwell’s thoughts are written as if he wants to speak them out loud so you literally feel like you are in Cromwell’s head wishing you could punch Norfolk in the face or tell More that he belongs in the crazy farm. But you can’t. Because you are trying to survive the political minefield of Henry’s court without getting a knife in your back or becoming a head shorter. At first, I found it difficult to come to terms with Mantel’s portrayal of Cromwell. I had always pictured Cromwell as the disgruntled man in Holbein’s painting who looks like his hose are too tight or he just got the worst Tudor tax bill of his life. Mantel gives a Leonardesque make-over to Cromwell and instead of the stately court profile, the reader gets the missing frontal portrait. We see Cromwell as a broken-down son of an abusive father or a loving father himself grieving the loss of his child. Mantel’s Cromwell is a survivor. He loses the Holbein scowl and replaces it with a naughty, sarcastic gleam in his eye and a mocking Mona Lisa grin. Other courtiers are condescending toward him, but inside he is having the last laugh. Mantel's Cromwell is also not just the financial wizard or loyal lap dog to Henry VIII. He is the guy who can fix anything (as long as it can be fixed). After reading this book, Cromwell is now my new favorite dead person I would like to share a glass of ale with. (Sorry, Elizabeth I....you have been bumped). In fact, I kind of wish I had a Cromwell in my life right now. He could balance my checkbook, edit my manuscripts, do my laundry, devise ways to buy shoes without my husband knowing and other odd tasks that require cunning and a certain amount of humility. (Although I would have to insist that he stop referring to himself as "he" because that would be just plain creepy). And it’s not just Cromwell who is so vividly portrayed. I think Mantel’s true strength is in creating a strong contrast in characters. Anne Boleyn evokes a weird combination of awe and nervous fear. In contrast, Cromwell has an all-knowing calmness and strength, and a sense that despite his rise...he knows eventually the jig will be up. Both seem to know that their individual success will put them at opposite ends of this dizzying wheel of fortune. We will have to wait for Mantel's sequel to see how Cromwell stays on top. Hilarious but nonetheless insightful review. I debated whether or not to read this - there was something decidedly intimidating about it, but will give it a try now! 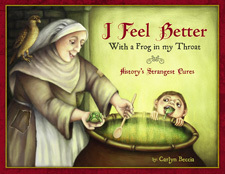 Love your blog's humorous angle on history, it's refreshing.